Ciao! 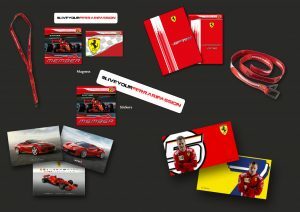 We are excited you took the time to visit our site and if you’re a true, Tifosi; a Formula One fan and/or dedicated to everything Ferrari, you’ve came to the right place! We are an OFFICIAL, Ferrari factory-supported club and we offer a vast array of benefits to our members. Before we get to the member benefits’, we must stress that you DO NOT need to be a Ferrari owner to join, we are NOT an owner’s club, even if many of our members are owners as well, this is an enthusiast’s club. There is no pre-requisite for membership, just a genuine passion for Ferrari and all activities F1/GT. We are charting new ground for Tifosi in the USA and are ready to bring the PASSION, FORZA FERRARI!!! Ciao! Thank you very much for taking the time to visit our website, where ALL TIFOSI, as well as passionate fans of Formula One are welcomed and encouraged to join us as we endeavor to expand the Scuderia’s fan base across the USA! We are, at the time of this writing, one of four SFC’S in the USA (Denver, Tampa Bay and soon Boston) and one of six clubs in North America (Montreal & Toronto). For years, SFC has had numerous clubs all over Europe, with Italy naturally leading the way, but now North America is bringing the passion for Ferrari across the Atlantic. 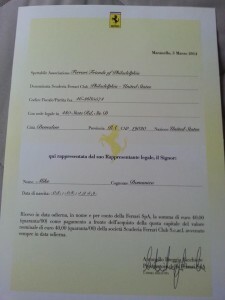 Our President, Mike Domanico took on the task of founding a club in Philadelphia in early 2014, providing a “home” for numerous, tifosi/F1 fans in the northeast and beyond. In the beginning of March, 2014, Mike flew to Maranello, Italy to meet with other SFC’s around the world, at the annual meet. On March 12th, 2014, Mike signed the official paperwork, founding only the 2nd, Scuderia Ferrari Club in the United States. I (Mark Christman) joined Mike shortly after his trip to Italy and we began planning how we could grow the club in the Northeast and throughout the USA. We’re very excited to meet fellow, tifosi and Formula One fans like ourselves, so give us a chance and we’re 100% positive you won’t be disappointed. FORZA FERRARI! Wallpaper/Screensaver downloads, video chats, forums, etc..